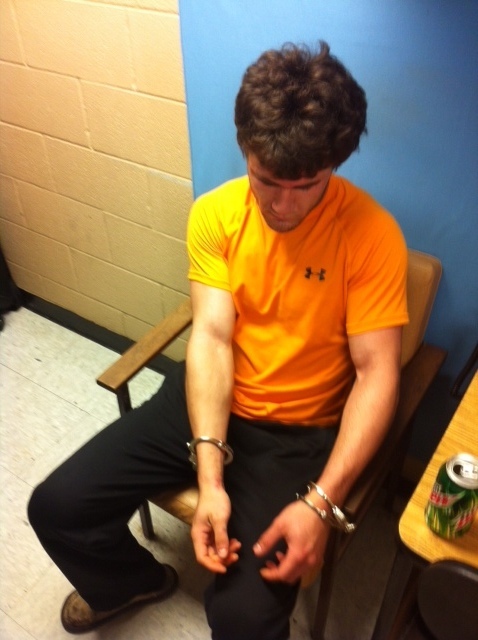 On Saturday, the Lawrence County K-9 Officer arrested Carson Gates, 20 of Walnut Ridge after Gates had escaped officers early Friday morning while in handcuffs. Gates will be charged for his part in a drug bust that took place. Gates was being transport back to his residence to retrieve drugs in which he admitted to have when he broke away from deputies and ran off into the dark, wearing dark colored clothing and the pink handcuffs belonging to the Lawrence County Jail. According to Sheriff Dotson, Gates had broken the chain holding the cuffs together and rubbed off most of the pink paint. Gates was transported to the Lawrence County Jail to face formal charges.